Our client, age 20, was driving through the north Redondo Beach area at night, near the multitude of apartment complexes off Artesia Boulevard, just west of Inglewood Boulevard and west of the South Bay Galleria. She was looking for parking, so she was not driving too fast. Some of the streets are narrow, so it is dangerous to drive too fast anyways. As she drove along at perhaps ten miles per hour, a Hispanic male suddenly and without provocation hit the side of her vehicle with a crowbar. Our client had no idea who he was or why he had hit her vehicle. She drove on, scared and went home. 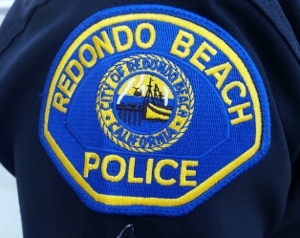 The Reader’s Digest Version: Our client charged with attempted mrder after she drives car by Redondo Beach home and shooter in back seat discharges a gun into the home. Gang enhancement alleged and not dismissed because our client refused to identify the shooter or two others in the car she drove. Fourteen years in state prison was plea bargained (four years plus ten for the gang enhancement). She called her boyfriend, who was angry with this and brought over some of his friends. Our client then drove back to the location with a few of her boyfriend’s friends, including her boyfriend. Our client then found the male and pointed him out to the others. Within a few seconds, gunshots came out of her vehicle. Our client had no idea that this was going to happen. She did not know any of her passengers were even armed. Our client then just kept driving, leaving the scene. It turned out that the shots missed the target. Several witnesses placed our client and her vehicle at the scene. The trigger man and everyone else in the car were never found or prosecuted. Our client refused to provide their names, which angered the police quite a bit. When questioned by officers, our client admitted to driving the vehicle and that she had agreed to go back to the scene. It was her first arrest ever. Confused, she bragged to police that she was in a Lawndale gang and displayed her tattoos to prove her involvement in the gang. She said her friends intended to scare the male, but not cause any injuries to him. She was very cooperative with the police officers and answered all of their questions, except as to the identity of the others in the car. Our client was charged with Attempted, Willful, Premeditated Murder (Penal Code Section 664/187(a)), a Felony, and Shooting at an Inhabited Dwelling, (Penal Code Section 246), a Felony. Were she convicted on both charges, she faced a total of 40 years on prison, including 10 years for the gang enhancements per charge. The family for the client was unable to bail out their daughter, as bail was too high. The family had initially retained a very expensive, rather famous criminal defense attorney, but he did not get along with the Torrance District Attorney assigned to the case. The case went to the Preliminary Hearing and it did not go well, in the opinion of the family. The offer from the prosecutor was 18 years in state prison. The family felt they needed another attorney, perhaps someone with more familiarity with the Torrance prosecutor and more humility than the famous attorney. Greg Hill & Associates fit that need, as Greg had worked on perhaps ten cases with the particular prosecutor and knew him well. The two had a solid mutual respect for each other. Greg then worked closely with the prosecutor to lower the terms of the plea bargain from eighteen years to eleven years with a possibility of parole in three years. The family was extremely pleased that the addition of Greg saved their daughter seven years in prison (actually about six because the client would serve 85% of the sentenced time). What Is a Criminal Street Gang for Purpose of a Sentencing Enhancement?